Bastiaens, T.J. & Marks, G. (Eds.). (2014). 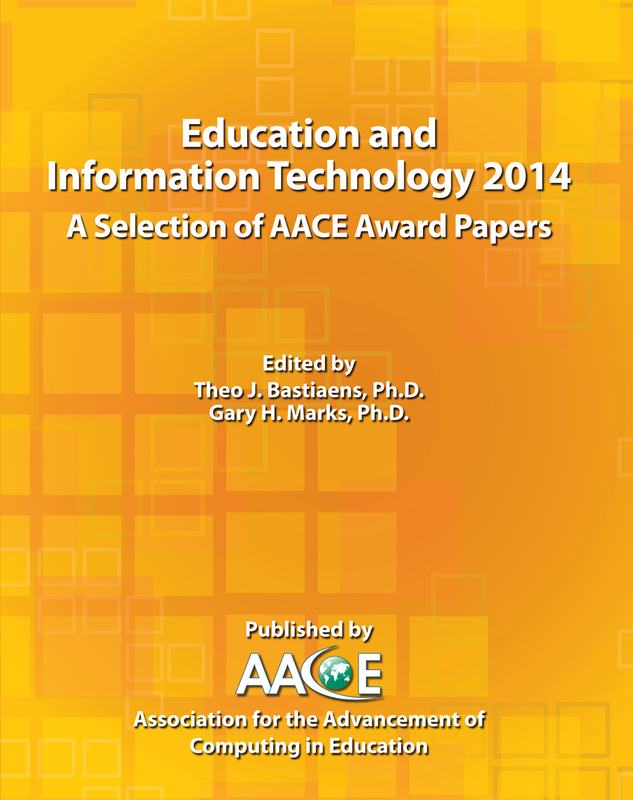 Education and Information Technology Annual – 2014: A Selection of AACE Award Papers . Association for the Advancement of Computing in Education (AACE). Retrieved April 22, 2019 from https://www.learntechlib.org/primary/p/148033/.